They all say, “It must be nice to be Queen.” The assumption is that everyone has to do exactly what you say and if they don't, you can make sure they pay for their disobedience! Then, you get to spend your time playing croquet with flamingos and having your very own unbirthday party—even on your birthday, if you chose! But, that life is all a fantasy. Maintaining authority is difficult. Your royal might is questioned and interlopers keep showing up, claiming that the kingdom needs a new shiny head of state. The last one even claimed that they made better tea and that you were just ruling a house of cards! The royal “dispatcher” couldn’t even hear your reasonable demand over the roar of your otherwise devoted people. So, then, when you get a little agitated and scream out something silly like, “Off with their heads,” naturally at the exact moment that the room starts to quiet, you have this awful image that isn’t ever going away! The villain queen, they say!? Well, that seems a little overdoing it! We talk loud and proud about how terrible the villains are… how many atrocities they have committed or what terror they unleash upon the innocents. We have heard the stories time and time again! Some of those villains, though, are given a pretty bad rap. They can’t all be that bad. Maybe they took a wrong road, sure, but they have to have some redeeming qualities, right!? What about all those Wonderlings that you keep safe with your perhaps slightly overly passionate rule!? 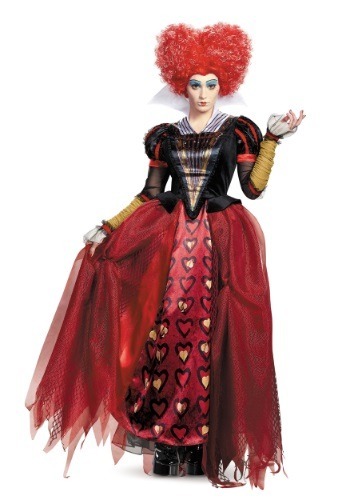 Now, you have the opportunity to show the world who you really are and set the story straight with this officially licensed Disney Adult Deluxe Red Queen costume. The luxurious polyester dress has a printed satin insert and puffed up sleeves with decorative black and red ruffles. The skirt base has the Red Queen’s iconic heart design print and is overlaid by red organza and mesh to give it a fuller look. 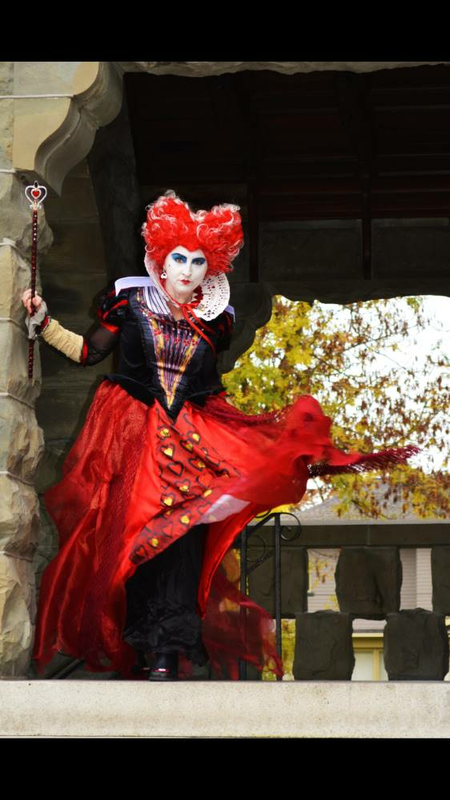 Add a bright red wig, a heart scepter, and a Tim Burton makeup kit and you will have the perfect image to finally redefine what it means to be the Red Queen. They’ll listen to you for sure. And, hey, if they don’t?—You can always be the Queen that they feared in the first place! 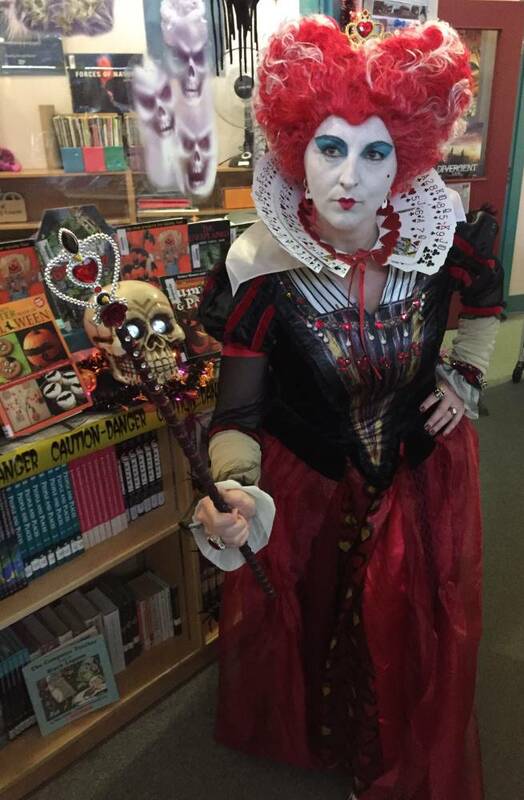 As a teacher who enjoys Halloween, I dress up every year at my school. 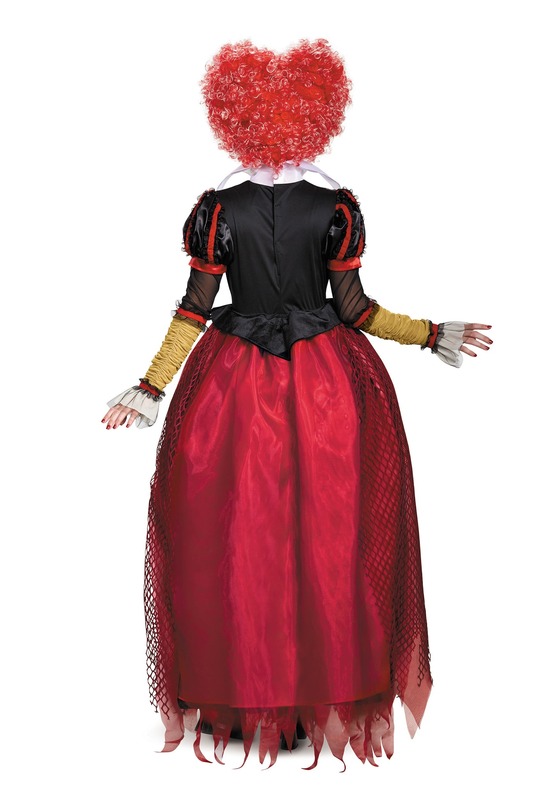 I bought the dress and the wig, both were great. The while collar on the dress was a not as sturdy as I would have liked, but I made a card collar instead. I also embellished the bodice of the dress with red and yellow crystals. It was a hit with my staff and students. One of my favourite costumes in my collection.